Dickens, Charles. The Life and Adventures of Martin Chuzzlewit. Illustrated by Hablot Knight Browne. London: Chapman and Hall, 1844. Dickens, Charles. Martin Chuzzlewit. Works of Charles Dickens. Household Edition. 55 vols. Illustrated by F. O. C. Darley and John Gilbert. New York: Sheldon and Co., 1863. Vols. 1 to 4. Dickens, Charles. The Life and Adventures of Martin Chuzzlewit. Illustrated by Sol Eytinge, Junior. The Diamond Edition. Boston: Ticknor and Fields, 1867. Dickens, Charles. The Life and Adventures of Martin Chuzzlewit, with 59 illustrations by Fred Barnard. Household Edition. 22 vols. London: Chapman and Hall, 1872. The copy of the Household Edition from which this picture was scanned was the gift of George Gorniak, Proprietor of The Dickens Magazine, whose subject for the fifth series, beginning in January 2008, was this novel. Dickens, Charles. The Life and Adventures of Martin Chuzzlewit. Illustrated by Fred Barnard. The Household Edition. 22 vols. London: Chapman and Hall, 1872. Vol. 2. Dickens, Charles. Life and Adventures of Martin Chuzzlewit. 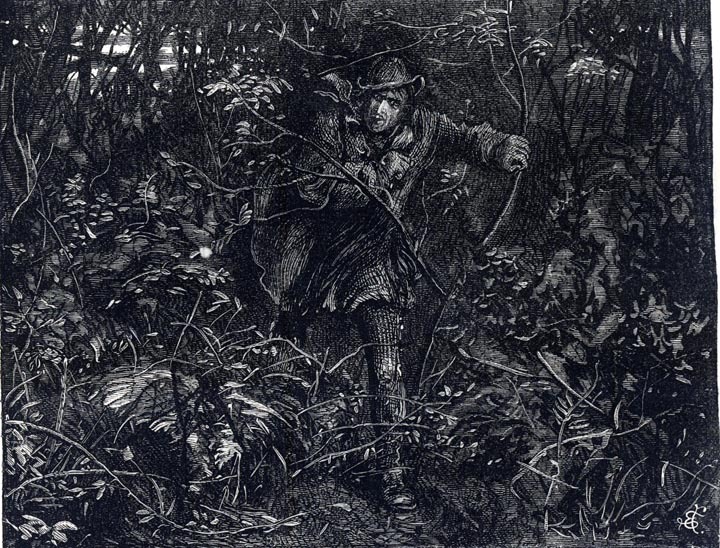 Illustrated by Harry Furniss. The Charles Dickens Library Edition. 18 vols. London: Educational Book, 1910. Vol. 7. Guerard, Albert J. "Martin Chuzzlewit: The Novel as Comic Entertainment." The Triumph of the Novel: Dickens, Dostoevsky, Faulkner. Chicago & London: U. Chicago P., 1976. Pp. 235-260. Hammerton, J. A. "Chapter 19: Little Dorrit." The Dickens Picture-Book. The Charles Dickens Library Edition. London: Educational Book, 1910. Vol. 17. Pp. 398-427. Kyd [Clayton J. Clarke]. Characters from Dickens. Nottingham: John Player & Sons, 1910. "Martin Chuzzlewit — Fifty-nine Illustrations by Fred Barnard." Scenes and Characters from the Works of Charles Dickens, Being Eight Hundred and Sixty-six Drawings by Fred Barnard, Gordon Thomson, Hablot Knight Browne (Phiz), J. McL. Ralston, J. Mahoney, H. French, Charles Green, E. G. Dalziel, A. B. Frost, F. A. Fraser, and Sir Luke Fildes. London: Chapman and Hall, 1907. Steig, Michael. Dickens and Phiz. Bloomington and London: Indiana U. P., 1978. _____. "Martin Chuzzlewit's Progress by Dickens and Phiz." Dickens Studies Annual 2 (1972): 119-149.